Cost accounting and management accounting are two very crucial branches of accounting discipline. Both of them are used by most of the organizations for better functioning. The main user of both cost accounting and management accounting is an organization’s internal management. This creates an impression that both cost accounting and management accounting are same. The differences between cost accounting and management accounting are of a fine nature and have minor nuances. Cost accounting basically focuses on the quantitative aspects. While management accounting uses a combination of quantitative aspects as well as qualitative aspects. Cost accounting is one of the branches of accounting. It deals with the collection, recording, classification, ascertaining, and analysis of the information and data related to the costs involved in the operations and production processes of an organization. Material costs that are mainly classified as direct costs and indirect costs. Labor costs that are mainly classified as direct labor costs and indirect labor costs. Overhead costs such as fixed costs, office costs, selling, general and administrative costs, etc. 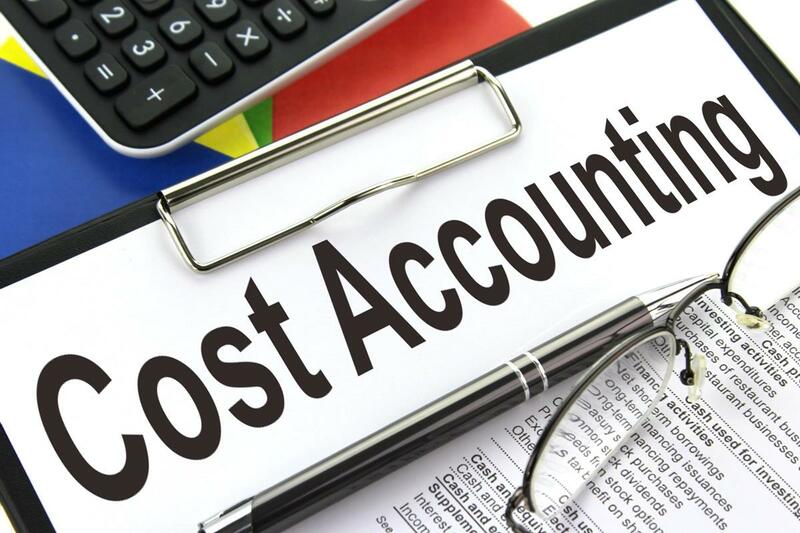 The main purposes of cost accounting include tracking operations and production costs, fixed costs, and other relevant costs for a firm or organization. Such information helps the organization in controlling and reducing the various costs, and improving its operational performance. Cost accounting for an organization is usually carried out by its own employees. Cost accounting information and statements are not necessarily reported or submitted at the financial year end. 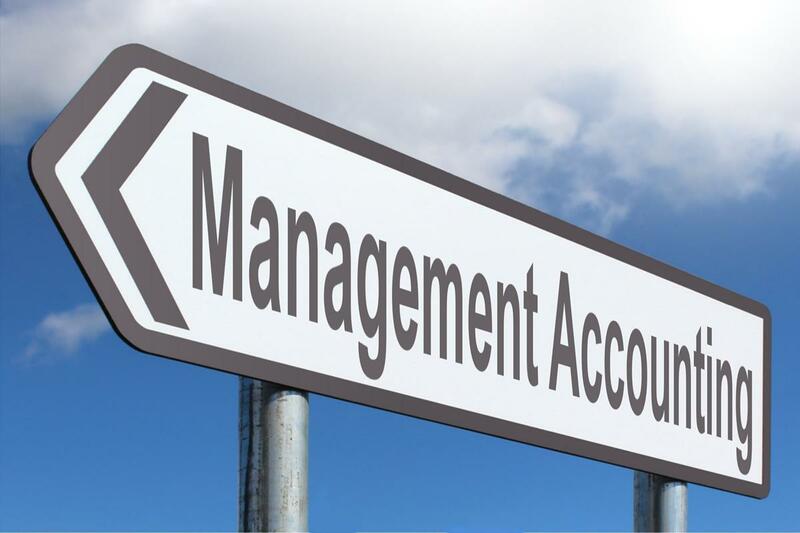 Management accounting is one of the important branches of accounting. Management accounting is also known as managerial accounting. It aims to serve an organization’s management, particularly the top management. It deals with the collection, recording, classification, analysis, and presentation of data and information related to the quantitative and the qualitative aspects. It deals with the financial as well as the non-financial aspects pertaining to the activities of an organization. Management accounting provides information which is helpful and useful in decision making, policy making, planning, budgeting, forecasting, comparing, and evaluating managerial performance. Many of the fundamental processes of cost accounting and management accounting are similar. Both of them require an essential knowledge of accounting basics and principles. Both cost accounting and management accounting use many similar procedures and techniques of accounting, computation and analysis. Both strive to provide accurate and relevant data and information to help the management in decision making and improving operational performance of an organization. The information and statements provided by both cost accounting and management accounting are prepared with reference to a particular period, but not necessarily reported or submitted at the financial year end. Both of them are mainly used by the internal management or the employees of an organization. Definition: Cost accounting deals with the collection, recording, classification, ascertaining, and analysis of the information and data related to the costs of production and operations; while management accounting deals with the collection, recording, classification, analysis, and presentation of data and information related to the quantitative and the qualitative aspects pertaining to the activities of an organization. Focus: The primary focus of cost accounting is to accurately record the costs of the transactions or activities, and present cost statements; while the primary focus of management accounting is to help the management in decision making. Objective: Objective of cost accounting is reducing or controlling costs; while objective of management accounting is to help the management of the company in decision making, planning, and controlling. In other words, effective and efficient performance of an organization is the objective of management accounting. Nature: Cost accounting is both historical and futuristic as it records historical transactions which help in estimating future costs; but management accounting is futuristic as it is mainly related with planning and forecasting. Coverage: Cost accounting covers typically the transactions, records and statements related with costing and quantitative aspects; while management accounting mainly covers qualitative and quantitative aspects. Scope: The scope of cost accounting is narrow as it is concerned with costing aspects; while the scope of management accounting is wider comparatively as it covers financial accounting, taxation, planning besides cost aspects in some respects. Level of Depth and Detail: Cost accounting takes an in-depth look at various details related to the cost of production and operations; while management accounting generally takes a top level view of the overall activities of an organization. Type of Data and Information: Cost accounting is concerned with the quantitative type of data and information; but management accounting is concerned with both the qualitative as well as quantitative type of data and information. It uses the information that may usually not be expressed in terms of money. Sources of Data: Cost accounting obtains the data of costs from financial accounting which help in costing work; but management accounting obtains the data from both Cost accounting and financial accounting. Performed by: cost accounting is performed by a qualified cost accountant with some statutory powers in certain cases; while management accounting is performed by management accountants or by others in some cases. Status: Cost accounting is constrained in status with limited area of influence; while management accounting has status of priority and a larger area of influence. Timing: Cost accounting is carried out on a somewhat regular basis; whereas management accounting is usually carried out more as a periodic process. Necessity: Cost accounting is necessary for some organizations in their day-to-day production related activities or routine operations; while management accounting is optional in many cases and not necessary in the day-to-day operations of a firm. Dependence: Cost accounting does not depend on management accounting for its success and effectiveness; but management accounting depends on cost accounting for its success and effectiveness. Regulations: Cost accounting is governed by some cost accounting standards or regulations; but management accounting is usually not governed by a specific and stringent set of standards or regulations. Audit Requirement: In some cases, the statutory audit of the cost accounting reports is needed; but the statutory audit of the management accounting reports is typically not needed. Report Submission: Cost accounting reports are submitted to the management of the organization as well as some other external authorities or regulators; but management accounting reports are submitted to the internal management of the organization. Cost accounting and management accounting both are two important parts of accounting. Both need knowledge of accounting basics, use some similar techniques or processes, and help in ensuring efficient and effective operations of an organization. But they have many differences. Cost accounting is focused on costing and quantitative aspects, narrow in scope, and necessary for many organizations. Management accounting is focused on qualitative as well as quantitative aspects, wider in scope, future oriented, optional, and helps in decision making. Surendra Singh. "Difference Between Cost Accounting and Management Accounting." DifferenceBetween.net. April 2, 2018 < http://www.differencebetween.net/business/accounting-business/difference-between-cost-accounting-and-management-accounting/ >. This provided difference really clear all doubts on between cost Accounting and management accounting. I want to clear my accounting related terms doubts and your sites help me to clear all my confusion. Your sites are really helpful for accounting and finance study. In a short manner, you differentiated each and every important thing and points are really simple to understand. "Accounting Systems". loscostos.info. Los Costos, n.d. Web. 7 Mar. 2018. .
"Cost Accounting". investopedia.com. Investopedia, n.d. Web. 7 Mar. 2018. .
"What is management accounting?" cimaglobal.com. Chartered Institute of Management Accountants, n.d. Web. 10 Mar. 2018. .